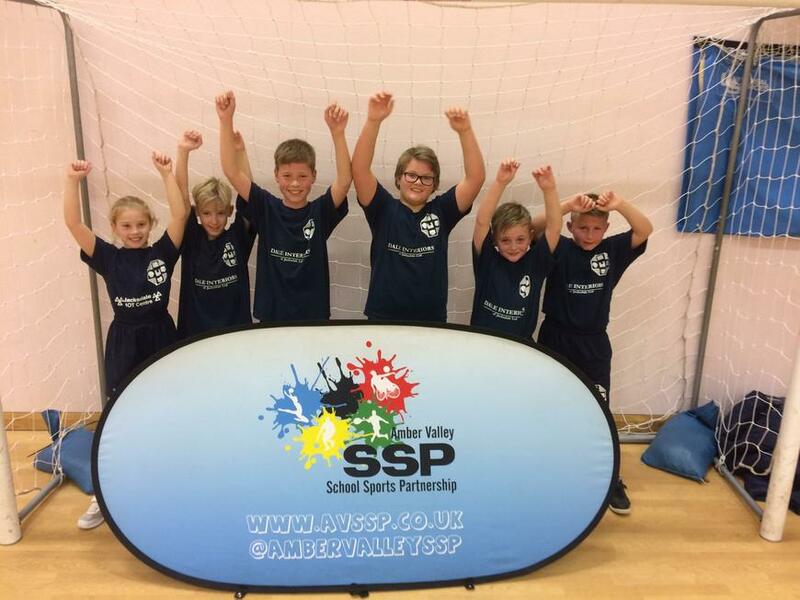 On Tuesday our Year 5/6 Basketballers went along to Aldercar High School to play in the AVSSP Heanor cluster Basketball Competition. Our children had only had a week of practice, so started slowly winning 2-0 against Langley Mill ‘B’ then losing 0-8 to Howitt leaving us requiring a win versus Mundy to make the semi-finals. We finally secured a 2-0 win with a late basket from Reece to set up a semi-final with Richardson. In an end-to-end, tight game, we led 2-0 and 4-2 before being pegged back to 4-4 to take the game into overtime. There was no score in the next 3 minutes to take us to 'golden basket' overtime and Reece, again, scored the decisive basket to set up a final against Howitt who had already defeated us convincingly. By the final, though, we were a different team altogether, playing aggressive - and at times, brilliant - basketball and we led the game early through a basket from Jakub. We were again pegged back to 2-2 by Howitt to take the game into overtime, and again 'golden basket' overtime, with chances at either end it took a stunning basket by Howitt to win the game. To say that we are proud is an understatement. The children improved hugely from start to finish - and they will move on to the borough finals with their heads held high.